Known as a Jewel of a City, Los Alamitos delights its residents with its tight-knit communities, excellent schools, and convenient setting. While it's easy to visit nearby urban centers and beaches from Los Alamitos' central location, the city itself has plenty to offer. Los Alamitos —whose name means "Little Cottonwoods" — stands out for its green spaces, gorgeous parks, and tree-lined streets. 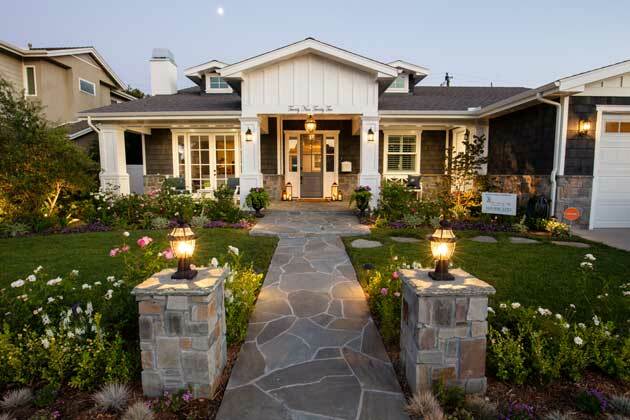 By prioritizing creative landscape design on your property, you can bring those green spaces home. At Cutting Edge Landscape Design, we specialize in creating vibrant, beautiful landscapes that incorporate natural elements into your property — all while maintaining a sustainable, low-water landscape. Maintenance. What level of maintenance do you want to commit to with your landscape? Sustainability. How will you create a sustainable space that still looks beautiful? Beauty. What sorts of elements — trees, shrubs, flowers, succulents — would be most beautiful and uplifting? Drought-resistant native plants use less water. Native plants generally won't become invasive. Because they're used to the area, Los Alamitos native plants have immunity to plant diseases. Native plants promote sustainability by requiring less fertilizer, pesticides, and other pollutants to thrive. In the Los Alamitos climate, it's important to think about water conservation when creating landscapes. At Cutting Edge, we specialize in create drought-resistant and low water landscapes that create less of a strain on water and resources. Prioritizing low water techniques can help you save considerably on your water bill, and also provide a landscape that requires far less maintenance on your part. To create these low water landscapes, our college-educated horticulturists and designers take many elements into consideration. What's your soil like? How much sun and shade does your property receive? Which local plants can thrive with little water? By analyzing all of these elements, we create a beautiful and unique landscape geared to your aesthetic. Type of garden. Firstly, it's important to consider the type of garden you're really interested in. An herb garden to spice up your meals? A veggie garden to nourish your family? Or a flower garden to add color and variety to your landscape? Size and shape. Depending on the flow of your property, your garden could be created with various dimensions and shapes. You could consider raised beds, in-ground gardening, or a combination of the two depending on your soil and specific needs. Maintenance. It's important to consider how much maintenance and water will be used for your garden. There are plenty of native and drought-resistant garden plants that the Cutting Edge Team can curate for your garden. For many of us, the vibrant green of a grassy lawn is irresistible: it looks lush, healthy, inviting, and natural. However, ordinary grass lawns are notorious for needing a lot of water, raising the water bill, and using too many natural resources. In addition, many homeowners would rather simply enjoy their landscape than spend hours mowing in hot conditions. That's where artificial grass comes in. Vibrant, green, and cut to fit your lawn perfectly, our artificial grass installation can satisfy your desire for that pop of green. 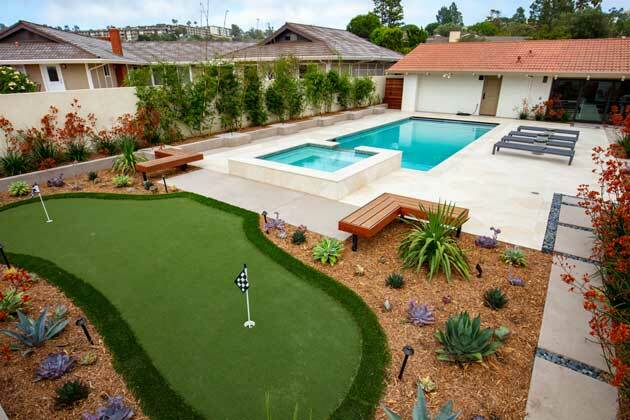 Because artificial grass looks so natural and seamless, your neighbors will wonder what your secret is! 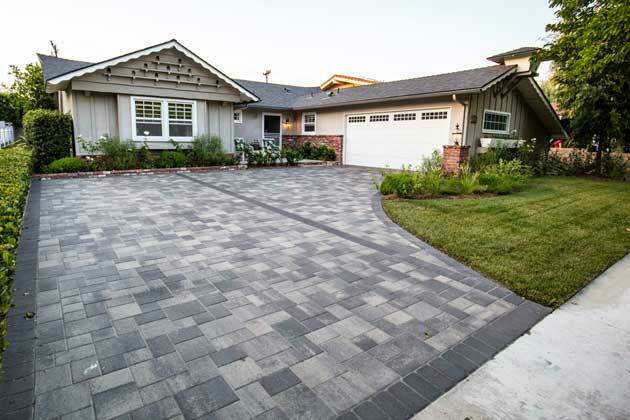 In the Los Alamitos climate and culture, it's important to choose landscaping options that not only conserve resources — but also look absolutely stunning. 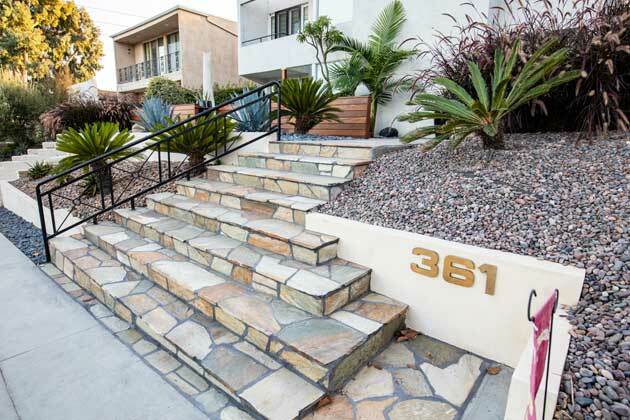 In addition to our expertise in drought-resistant landscaping, we also specialize in succulent gardens and xeriscaping for low-water, low-maintenance landscapes. Succulent gardens incorporate vibrant textures and colors into your landscape, creating a unique design that requires minimal maintenance or water. 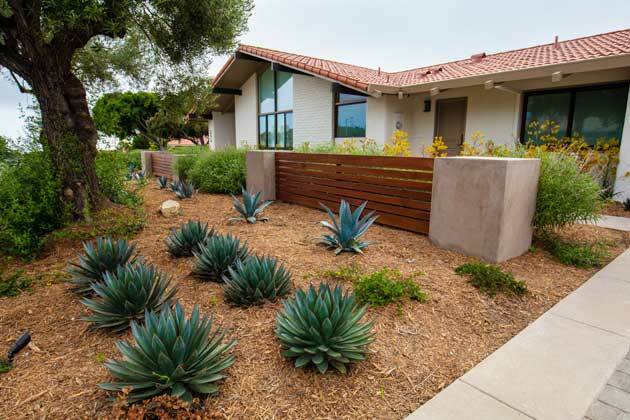 For those who love landscapes that require little to no water, xeriscaping might be the answer. This innovative technique uses drought-resistant plants and trees, in concert with other natural elements, to create a uniquely sustainable and low-upkeep landscape. 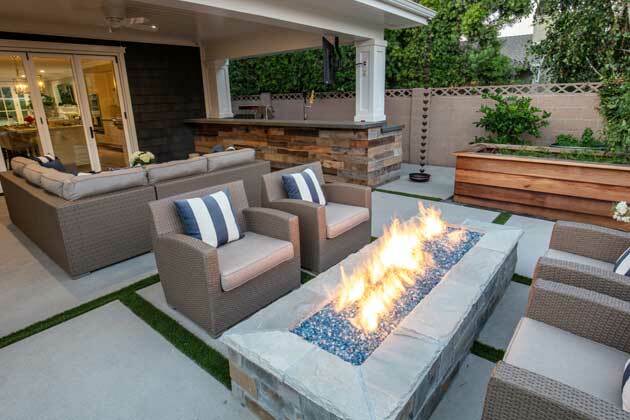 If you want to get started on your ideal landscape design today, reach out to us at Cutting Edge Landscape Design. Phone call with our team. During the first phone call, we'll have a conversation about what you're looking for from your landscape design, and how you envision the project unfolding. We'll schedule an in-person meeting so we can establish more details. In-person meeting. As an integral part of our first meeting, we'll talk about your top three priorities for your landscape design. We'll also discuss your budget and try to come up with a basic plan that balances your budget with your priorities. Meeting with a landscape designer. Then, you'll meet with our trained landscape designer to create a design plan that checks all your boxes. Begin construction. Once you're satisfied with the design construction, we'll move on to the exciting part: creating your ideal landscape! Keep in mind that even once construction begins, you'll still be able to stay involved throughout the process. We welcome all of your questions throughout the design process — and know that by working together, we can create something incredible.